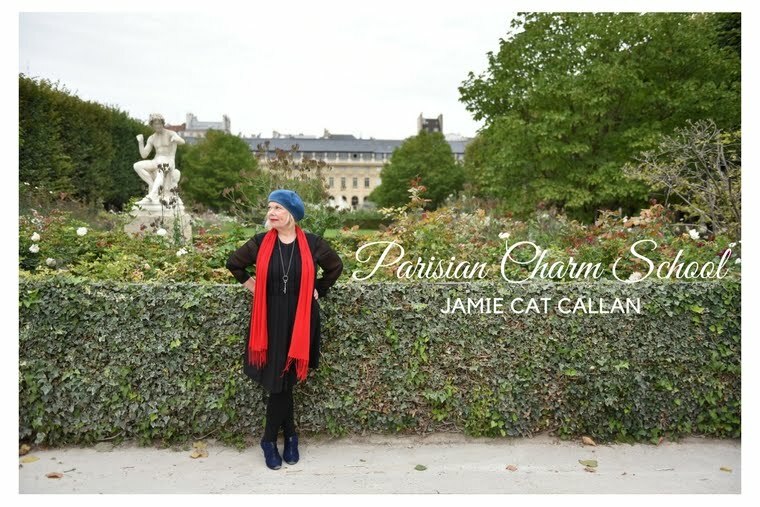 Jamie Cat Callan: Christian Louboutin at Le Rive Gauche Bon Marché! 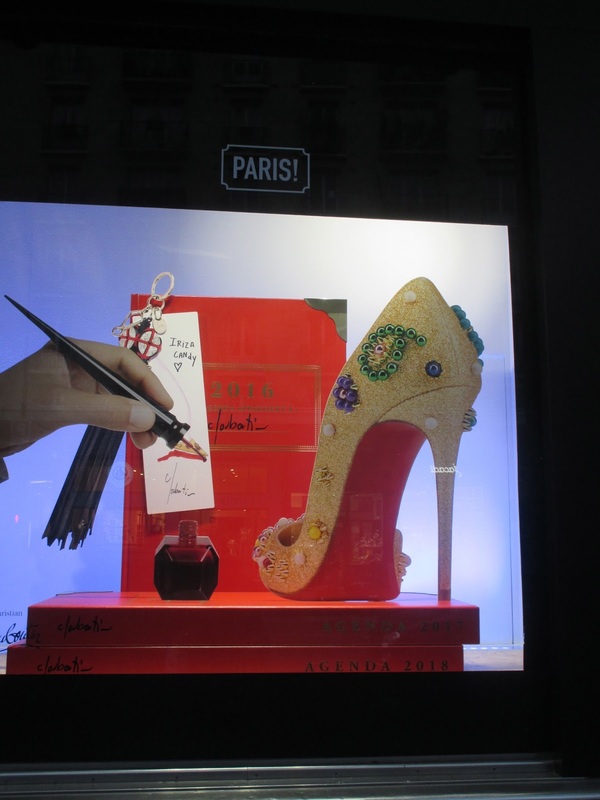 Christian Louboutin at Le Rive Gauche Bon Marché! It's a rainy day in Paris yesterday, but this didn't stop me from venturing out. I actually love rainy, gray days--as long as it's not too cold, bien sur. Anyway, I was on a mission to find Duvelleroy fans at Bon Marché. There was a special exhibition, but I was so sad when I found out that I had missed it while I was in the south of France at my artists residency. (I am going to return to their attelier on rue Amelie--more on that in a few days). Still, Bon Marché was very festive! I found all these adorable cardboard cutouts floating about the main level, dancing and twirling by invisible strings. I soon found out that all this frivolity was to celebrate Christian Louboutin! The famous French shoe designer has collaborated with Bon Marché to create a fabulous pop-up store/exhibit, including special shoes designed just for the occasion. Louboutin is a Paris native, so he loves to play with iconic images from the City of Light. J'adore these boots! If you look closer, you can see that the print is a map of Paris. Oh, and of course, Louboutin included is iconic red souled pumps! I loved how the pop-up was about so much more than just promoting shoes, but rather it was a bit of a museum exhibition--giving you some history on Louboutin's designs and how he approaches his work. Louboutin is a true artiste! If you'd like like to learn more about the exhibit at Bon Marché, just click here. Signing off, for now, mes amies! I have fond memories of a OPI up shop inside the Bon Marche! 💙🇫🇷❤️ We found you a darling polka dot skirt! Oh just beautiful! Thank you for sharing so generously. Loved the pop up store we visited last year. I also bought my daughter a polka dot skirt and blouse, and you picked out a hat for me! Merci dear Jamie! I'm so excited to have found your blog via Carol Gillot's Instagram. I am just returned from Paris, where efforts to meet Carol did not work out, alas. I love the idea of your tours, and will have to start saving my pennies, now!